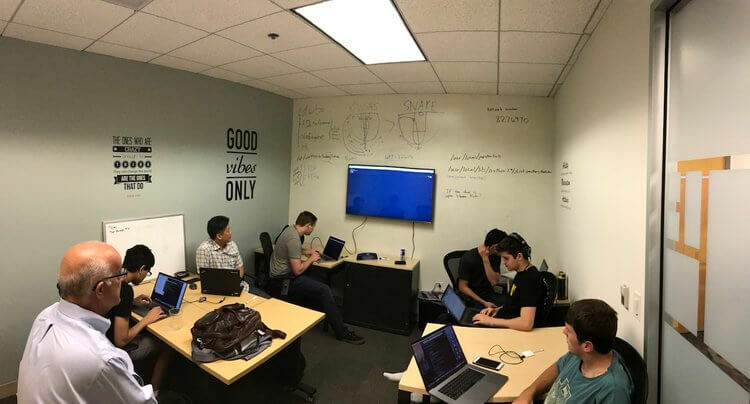 In my previous blog post about popular universities launching new degrees in Data Science, we are big advocates of hiring summer interns to help us launch conDati, Inc.
Our program allows summer interns to get first-hand experience on learning the latest data science techniques and applying their skills in real-life customer use cases, and all the while working with a group of coworkers that embraces mentoring and having fun. In 10 weeks, they were able to help build the foundation function libraries for the conDati WorkBench (our data science platform), build a C3/D3 visualization library, produce stunning visualizations, create a dashboard framework, create a reporting capability, research the latest algorithms within the machine learning landscape, built a development infrastructure, and develop engineering best practices. Code from this team is part of conDati’s products and will be long into the future. Four universities were represented this summer: UC Berkeley, UC Los Angeles, University of Texas, and Worcester Polytechnic Institute (WPI). With the increased demand for data scientists capable of gathering insights and making accurate predictions, fueled by a colossal increase in the volume of data generated, companies are seeking new talent to sift and blend the goldmine of data that now exists to deliver value in an ever-increasing competitive environment. At conDati, we are developing services to collect, blend, and store data from disparate source systems up and down the stack. Our core expertise is applying advanced analytics to massive data sets in support of business objectives. So, to all the future data scientists out there, @conDati_Inc is looking for you! We are doing fun things in the area of Data Science, Machine Learning, and Marketing Analytics. Join us and get real world, "right on the firing line" experience in today’s most exciting field.